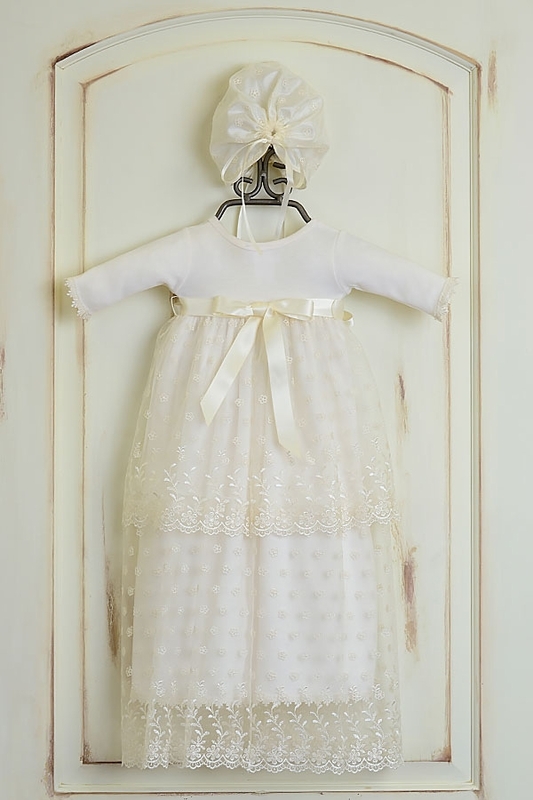 Made of oh so soft cotton to be smooth on baby's skin, this Katie Rose christening gown has all of the luxurious details. 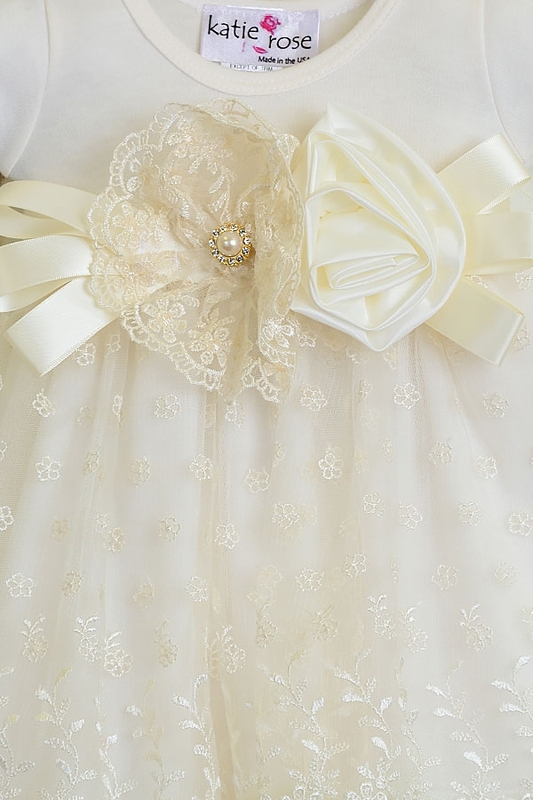 A large lace and ivory fabric flower is the centerpiece of this dress with satin ribbons and a large pearl and rhinestone broach in the center. 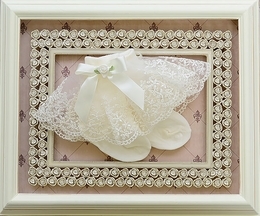 The long sleeves are finished in a sweet lace while a satin tie creates a bow in the back. The gorgeous ivory gown is covered with two layers of lace overlay falling from the empire waist down to the scalloped hem. A matching lace bonnet accompanies the gown. Made with 100% cotton. Hand wash with care. Made in the USA.